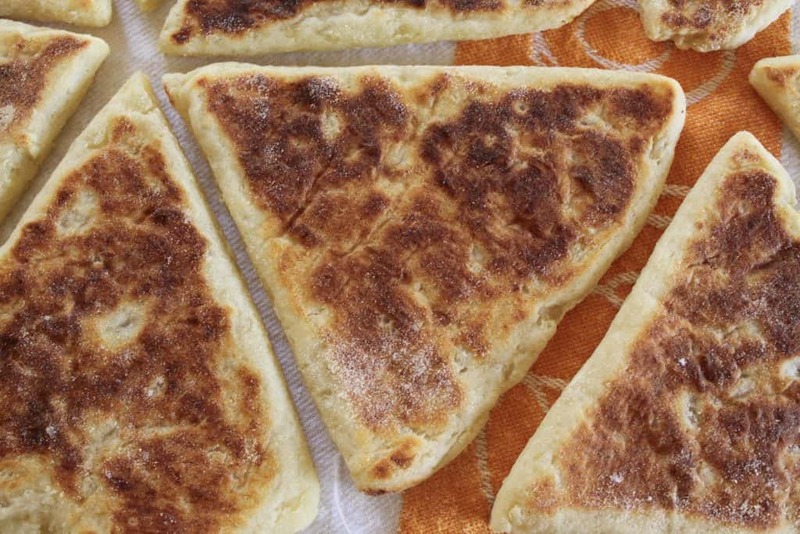 These 11 Authentic, Scottish Recipes will bring back memories for those who miss Scotland. I hope these bring you a taste of home and help keep Scotland close to your heart. 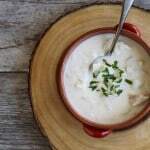 If you’re fortunate enough to have been to Scotland, or better yet, used to live there and now live elsewhere, these 11 authentic, and simple Scottish recipes are for you. Ex-pats will know what I’m talking about, but I also know there will be some travelers out there who had a Scottish meal or particular food that they will crave upon returning home. I am always trying to recreate recipes from my travels. Luckily, Scottish food is quite simple and so are the recipes. Remember, these are just 11 recipes from my site. I have many more and am constantly adding to the list. 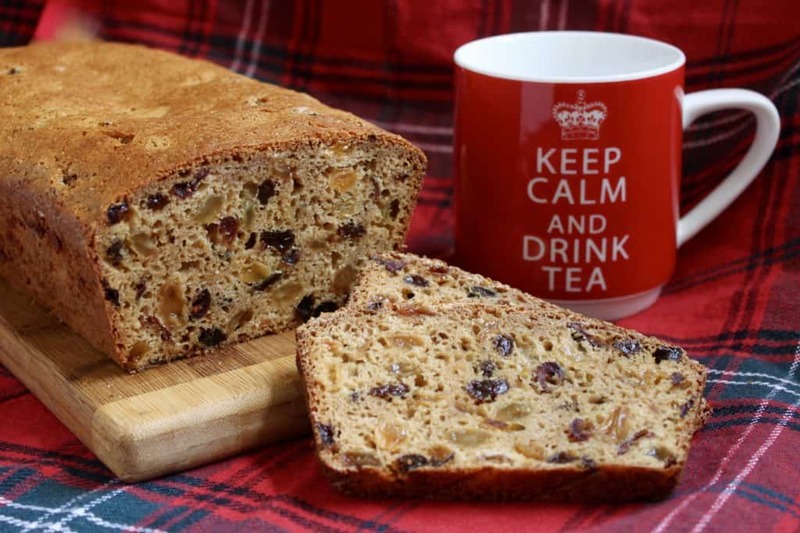 Edited January 2019: I’ve just added a list of Scottish recipes for a Burns Night Supper! Consequently, one of the reasons I started this page is to dispel the myth of “bad British food” and the stereotype of Scots only eating haggis and drinking whisky. I hope this post helps me reach my goal and dispel some of those myths. How can anyone say that this food is bland, boring or bad!? 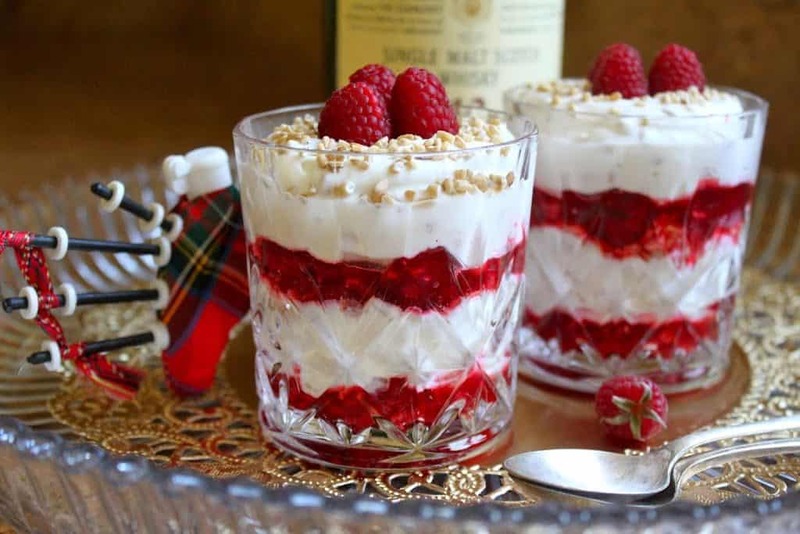 And although I like both haggis and whisky, you’ll only find some whisky in the Cranachan! 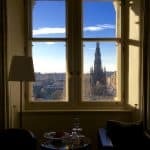 Since I’m in Scotland right now, I thought it would be nice to share these with you so that you can enjoy some of the dishes I’ll be enjoying here (sometimes on a daily basis)! I hope you love them, too! 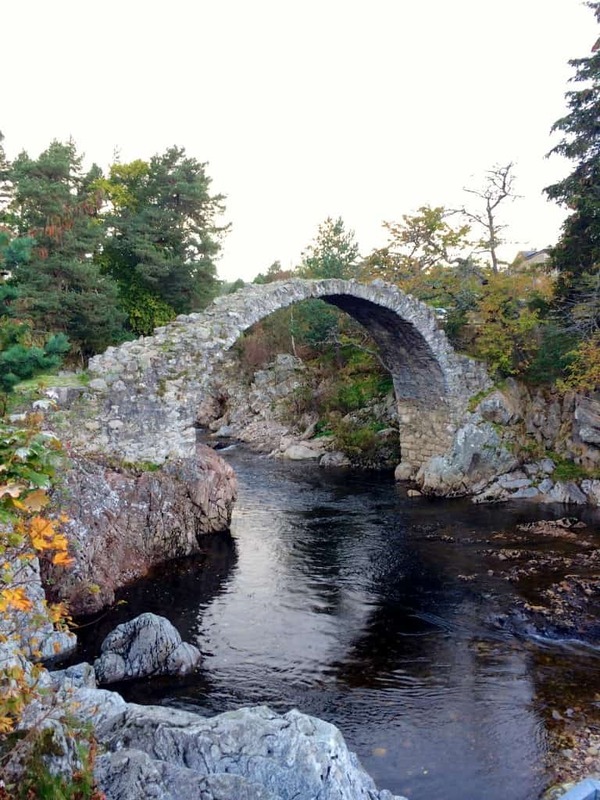 Carrbridge, Scotland, where I won the World Porridge Championships (specialty award) in 2014 – Click this photo for the recipe! 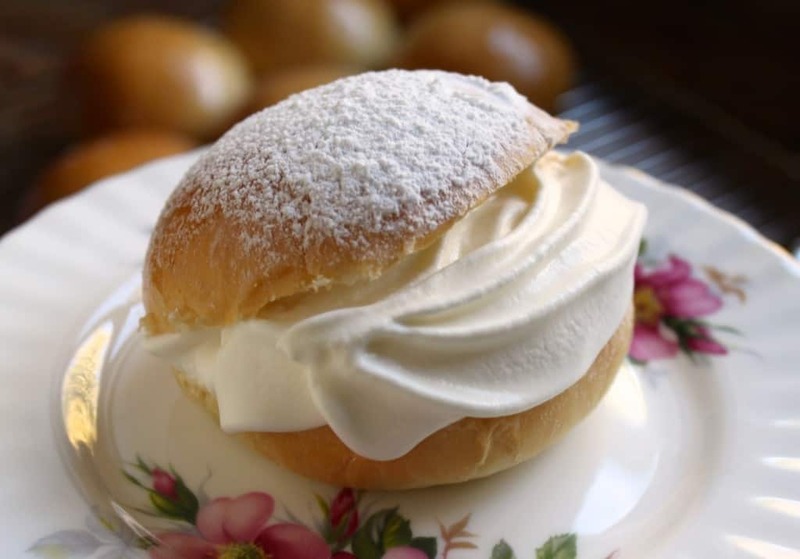 Click on the recipe name, or the photos below to see the recipes in full (starting with breakfast dishes and ending with sweets). So there you have it. 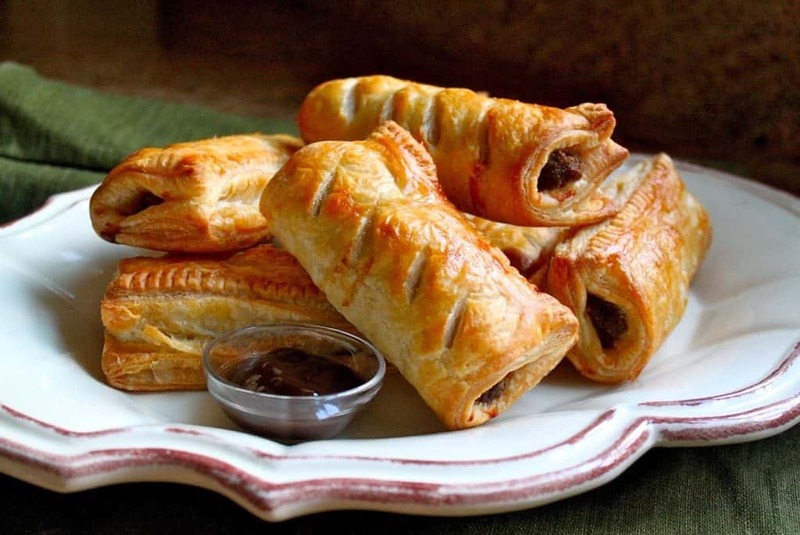 Eleven fabulous and authentic Scottish recipes that are so easy to make. Have you had any of them in the past? Will you be trying any of them in the future? Let me know below! 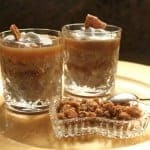 Enjoy your tastes of Scotland, and if you make one of these recipes, please let me know below the recipe you made! Or on social media use #christinascucina or tag me @christinascucina (@christinacucina on Twitter). Ann here again. Have you had any luck finding a REAL recipe for fern cakes? Thanks! I just discovered your site–thank heavens! Do you have a recipe for fern cakes? We’ve gotten them from a Scottish bakery in Michigan and the ONLY place they’ve been found (by two different travelers in Scotland) is a small bakery in Monifieth, where my grandmother was born. The only recipes I find on the Internet begin with a box mix. Heavens forbid!! I can’t find a real recipe anywhere. Thank you. I’m now on a mission! You’re correct, Ann, no authentic recipes out there! I will be back in touch as soon as I can. Thanks for the request, love this! 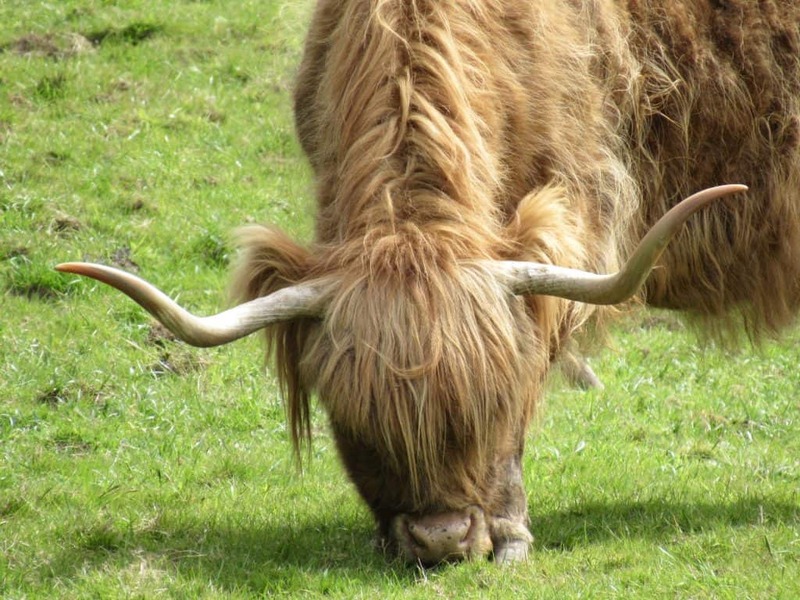 AS I WAS TOLD SOME TIME AGO THAT I HAVE A SCOTTISH ANCESTRY…AND I LOVE FOOD…I SHOULD LOOK INTO SCOTTISH COOKING. PLEASE EXCUSE MY ‘ALL CAPS’, AS I AM VISION IMPAIRED. LOOKING FORWARD TO KNOWING YOU ALL. HI RON! 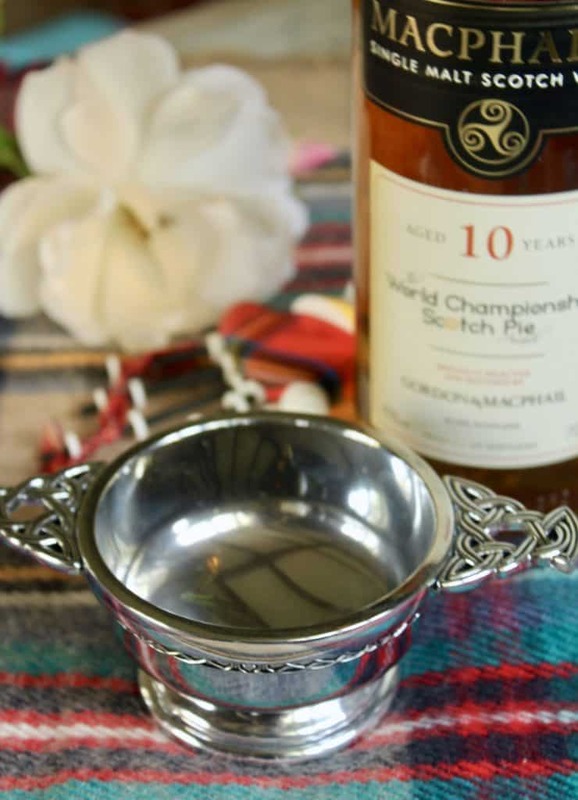 I’M SO HAPPY YOU FOUND MY SITE AS I HAVE LOTS OF SCOTTISH RECIPE TO SHARE! THANK YOU FOR TELLING ME ABOUT TYPING IN CAPS SO NOW I CAN RESPOND TO YOU THE SAME WAY AND HOPEFULLY IT’S EASIER FOR YOU TO READ. I thought they were “griddle” scones? You didn’t read my post, Niall! :) Read it and you’ll understand. Hi. strawberry cakes were a favourite growing up. Been told the glaze is made from jelly crystals we cant get the same here in Australia. Do you have a recipe for them. Hi Rita, I consulted with my Australian friend who clarified with me that you are talking about Strawberry Tarts (https://christinascucina.com/2012/07/strawberry-tarts.html) which you can see, I have a recipe for. However, I buy the glaze (one of the few things I buy as I haven’t been able to make a really good one. Let me see if I can manage to find you a recipe. Will report back here. Yes! Sticky Toffee Pudding and Tablet would be my requests….I absolutely loved the food when I visited Scotland a few years back. We stayed in a friend’s home so she shared several recipes with us. These are two I would love to have! Thanks for a great post! Hi Kathy! I didn’t include Sticky Toffee Pudding as there’s a discrepancy on where it originated (although, I’m sticking with Scotland)! 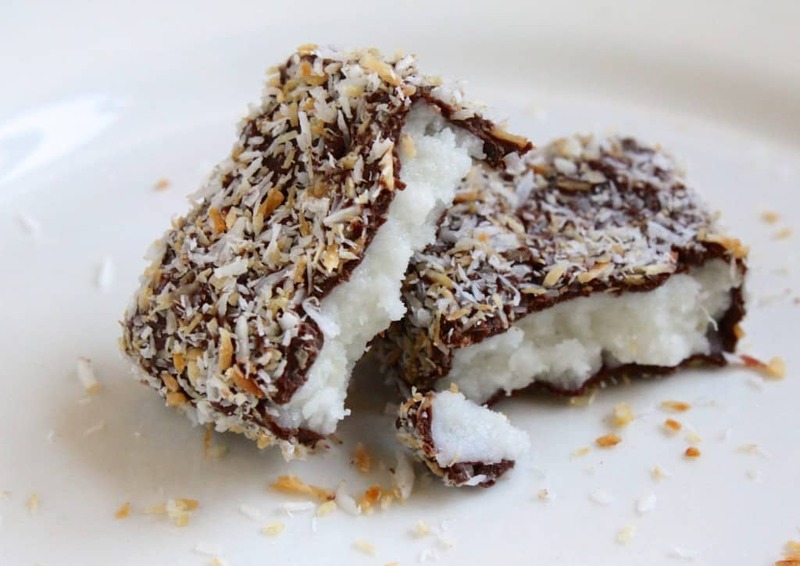 :) Here is the recipe and it’s a good one! The recipes look great , all of them, and I love your pictures, photos and commentary which makes for very interesting reading. 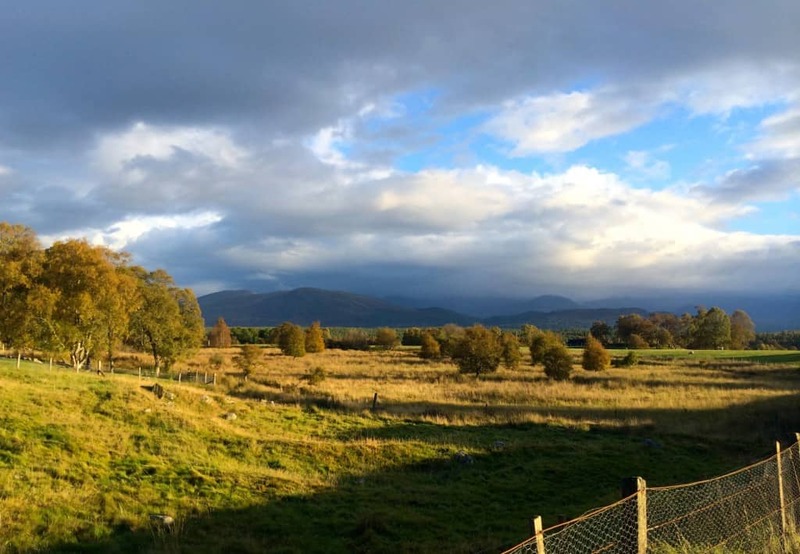 Scotland is a beautiful country and I am proud to have Scottish ancestry in me although born in Yorkshire, England, now living in Australia. Thank you so much, Elaine! Glad you like the recipes and photos, etc. I have been browsing through your recipes and travels tonight and I am very much enjoying them. 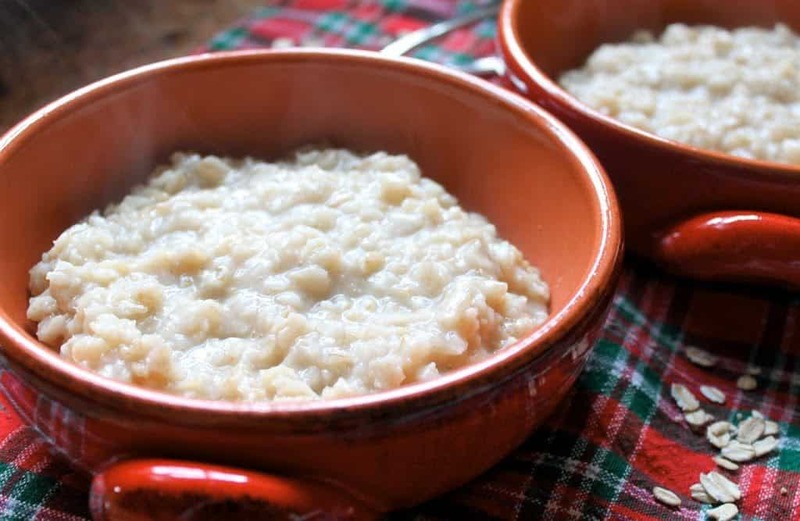 In your 11 Scottish recipes section I noticed the lack of a traditional Scottish porridge recipe, and the age old question do you like yours salted or sweet? I did see your specialty award winning porridge and it looks amazing. Well here is a variation on porridge I thought you could try. We love to cruise and almost all the cruise lines serve a breakfast dish called Bircher or Bircher Mueseli and it is made with good old fashioned rolled oats or porridge oats and it is ULTRA SIMPLE. Before I got to bed I add two cups of rolled oats to about a pint of milk in an airtight bowl and leave in the fridge to soak overnight. In the morning, the oats have softened and become almost creamy and it is simply delicious as is without any sweetner. 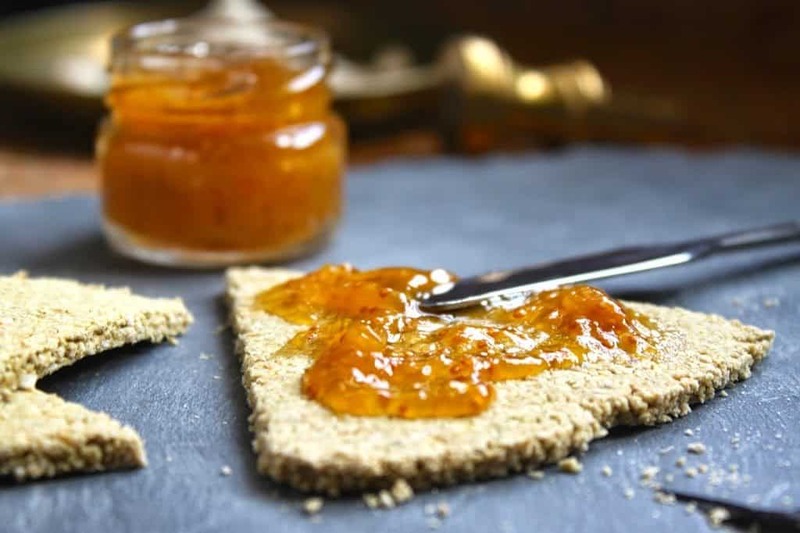 However I almost always add extras, like a grated apple or pear, or dried fruits like sultanas, sometimes almond slivers, honey, plain yogurt, crème fraiche, jam, marmalade or lemon curd. Sometimes I add store bought muesli for crunch. You get the picture, the variations are limitless. The basic oats recipe with fresh grated fruit or dried fruits is very healthy and a great filler for dieters, this version tastes exactly like the cruise ship version. Hi JACXGranny, sorry I missed both of your comments, but I think it was because I was traveling. I didn’t come back from Scotland until the end of May. Yes, I have seen Bircher Muesli a lot. I do actually have a post on my site about traditional porridge and adding salt. I actually only like savory porridge in the morning. Funny that I won a contest with a sweet porridge recipe, but it’s for dessert. So glad you like my recipes and again, sorry for the delay in responding! Your Red Lentil and Barley soup recipe is a variation of our traditional Scottish Lentil soup, and there are many different family variations but it is almost always made with a ham stock. One cup of red lentils and one cup of yellow split peas, soaked overnight in a big soup pot. If possible rinse a couple of times during soak and replace water, also drain off the soaking water before cooking to get rid of the surplus starch otherwise it froths..
Simmer for a couple of hours until soft, mushy and absorbed most of the water. Note If soup is thin use less water next time, it is meant to be thick and hearty. Also the Soup will thicken on the second day. OPTIONS. My daughter is vegetarian so for her I use vegetable stock. My mother like a redder coloured soup and she would add quite a few grated or liquidised carrots, she even used left over passata or tomato puree. I prefer a knob of butter, and a generous portion of shredded smoked ham, preferably off the ham hock bone, add that just before serving with crusty chunks of bread to dunk or float. I usually make double this and freeze. Lastly let it thicken or use less water and use it as a lentil dahl especially if made with the veggie stock. Thank you so much, Zouhair!! You are too kind! They all look good. I will try the shortbread recipe soon. My fav Scottish dish is Sticky Toffee Pudding. I had it several times in Scotland and I wanted to, but did not, lick the plate! 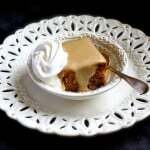 I have made your recipe for Sticky Toffee Pudding and think of Scotland. Enjoy your time there! Haha! I understand the licking the plate yearnings, Elizabeth! 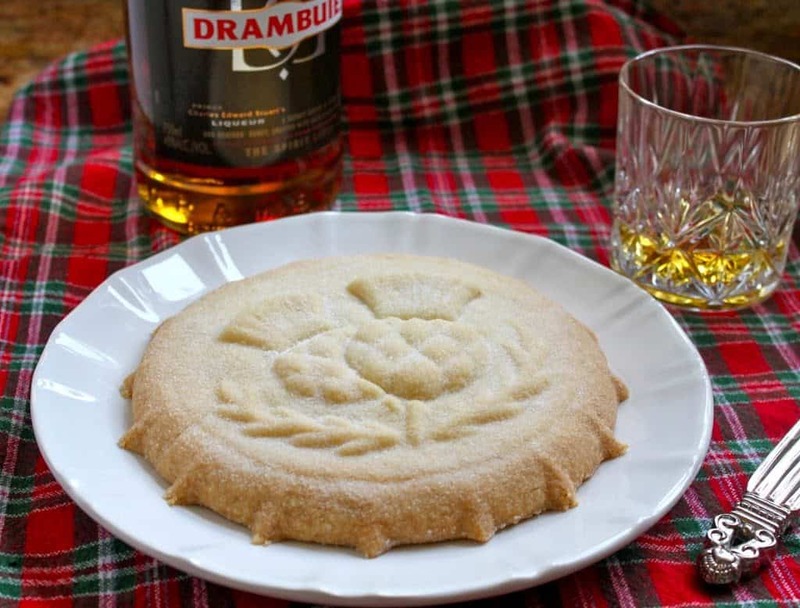 Let me know how you like the shortbread! You had me in stitches at the ELEVEN reference. I loved that video and shared it around, even although the language was a bit, well, OTT but yet so funny. Every time I go into a lift and see eleven on the list of floors, I keep wondering if we had voice technology if we’d be in the same situation? Love all your recipes and so glad you’ve shared them, since I’ve missed many of them since I discovered your blog. And you’ll never guess? 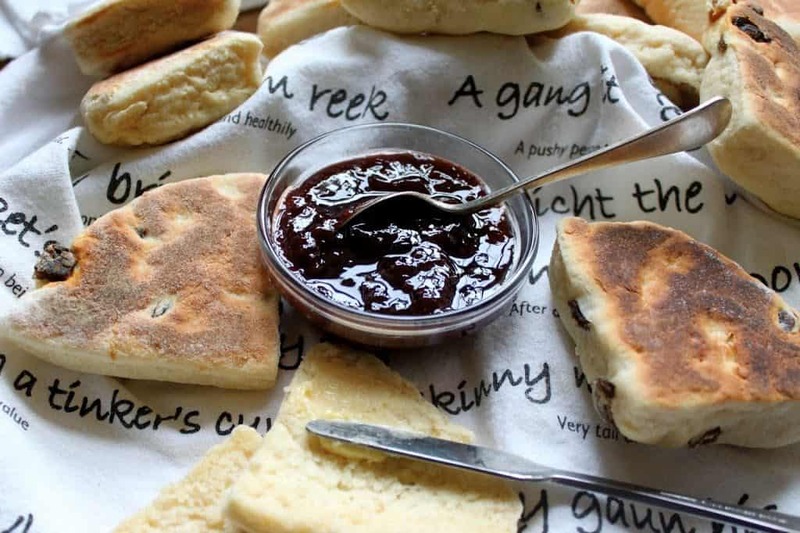 I have that tea towel too that these girdle scones are on. Great list! Haha! Yes, wish they skipped a couple of those words, but still, as you said, soooo funny! Thanks, Jill! 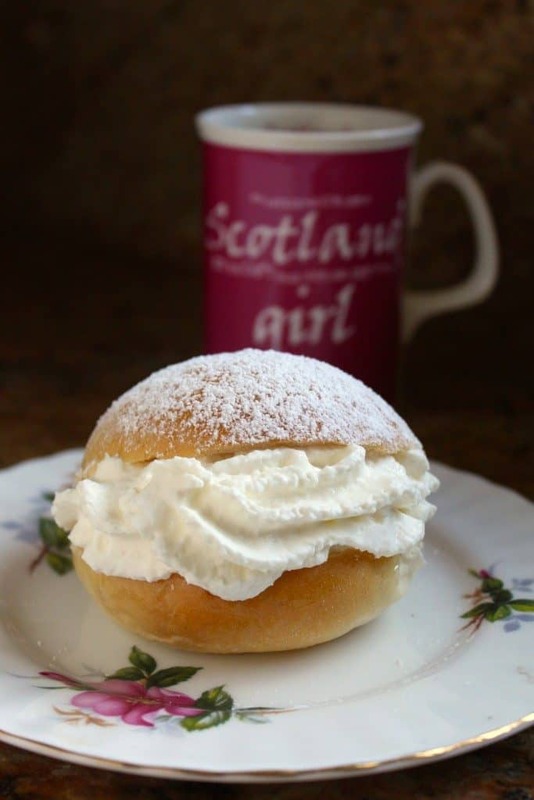 Ooooh those Scottish Buns! Enjoy your time in Scotland. I can’t wait to see the photos. Hope you are having a fantastic time! Must try the potato scones! Yum! Yes, weather’s been good, too! I’m Scottish and live in Scotland. 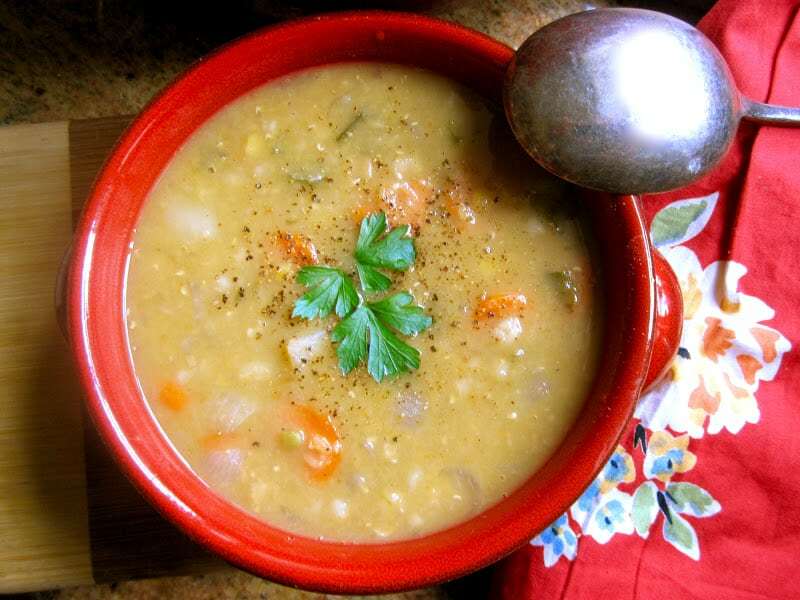 Lentil soup is made with a ham bone and ham stock. NEVER BEEF. Hello yes I am from Scotland and I would like to know why there is 11 recipies, Sorry but I don’t get the joke. Perhaps I was to young when immigrated to Canada. Hi Andrew! You just haven’t seen this, that’s all: https://www.youtube.com/watch?v=NMS2VnDveP8&t=34s :) I didn’t want to share it in my post as there are a couple parts which are a bit offensive to some, I”m sure. Hi. Thought you were including a recipe for Fly Cemetery (not sure I got the name right)? My grandmother made what we called “curn cakes” which I believe are the same thing or very similar. You replied.to.a FB post on this topic and I signed up.for your emails as you said you were posting the recipe.